All American Lock offers the full range of service for Storefront Glass and Glazing: installation, service, and repair. Regardless of where or why, you can trust that All American Lock will provide the best Glass and Glazing installation service anywhere. 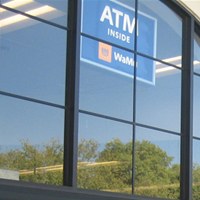 Does your business need to install storefront glass and glazing? Our installation team brings the experience, expertise, and efficiency that any project needs. Not sure which option is for you? Our install team can walk you through the options and help you determine which option is best for your business. Storefront Glass and Glazing can require regular service to stay in top condition. Our preventive service includes a full inspection and maintenance of key areas.